HideMyHost Review 2019: Is HideMyHost a Good Hosting? HideMyHost is a hosting company based in the United States. It has been in operation since 2001. The company’s perhaps strongest selling point might be its affordable and secure offshore web hosting. The vendor offers VPS, dedicated servers, and reseller hosting services. HideMyHost is a U.S. hosting company that was established in 2001. The company’s strongest selling point is likely its cheap anonymous offshore hosting. It also offers offshore VPS, dedicated servers, and reseller hosting solutions to its customers worldwide. HideMyHost houses its servers in a secure data center located in the Netherlands. The data center is equipped with SSD powered hardware nodes to offer fully managed services and more CPU computing resources to provide fast and reliable services. HideMyHost shared hosting uses apache 2.4 servers. The shared web hosting solution is split into three plans: Basic, Medium, and Advanced. The Basic plan offers 10GB SSD disk space and allows 10 domains, while the most advanced package comes with 30GB SSD disk space and allows up to 50 domains. All packages include daily backup services, unlimited FTP, and unlimited email accounts. For resource intensive businesses, the firm has its dedicated servers solution. The starter dedicated servers package includes Intel E3-1240 v3, 16GB RAM, and 25TB upgradable bandwidth. The advanced package comes with Intel E5-1650 v3, 32GB RAM, four 1TB disk drives, and 25TB upgradable bandwidth. HideMyHost does not offer any additional solutions such as SSL certificates or WordPress hosting and its hosting solutions are only run on Linux OS. All basic HideMyHost hosting plans are quite cheap and come with a considerably good number of features. The vendor offers monthly plans but that does not mean clients can’t commit to longer periods. The prices are listed on its website in euros. The hosting provider supports online payment platforms such as Payza, PayPal, Webmoney, Bitcoin, and PerfectMoney. Although there’s a section on this vendor’s website where it indicates that it offers a 30-day money-back guarantee, its policy page says that its money-back guarantee lasts for only seven days. Nevertheless, the vendor has an uptime network guarantee of 99.9%. HideMyHost’s customer desk is available via ticketing system but not telephone, email, or live chat. While it says that its technical team offers unlimited 24/7 quality support, the support team is quite frustrating. I opened several support tickets and none of them were addressed. Indeed, many customers have expressed their frustrations with this vendor’s support team, some saying that it took weeks and for others, months before they ever got any response from them. All the same, the vendor has included a knowledge base on its website. While it is not comprehensive, it does include some video tutorials as well. 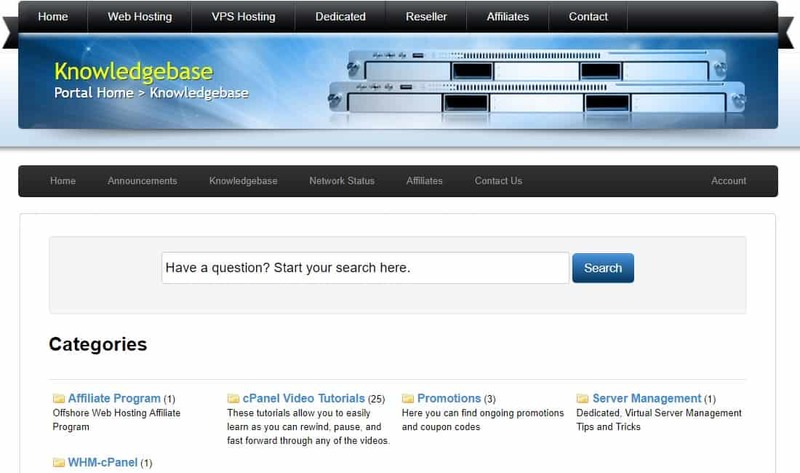 For a veteran hosting company, HideMyHost’s hosting solutions are a big disappointment. Instead of leveraging its experience in the hosting industry to deliver better hosting solutions over time, the vendor seems to have become numb to its customers’ growing concerns. This makes its hosting solutions suitable only to highly knowledgeable webmasters who would hardly ever need to contact the hosting firm’s customer support. Wondering how HideMyHost stacks up against other Web Hosting companies? Enter any other Web Hosting company and we will give you a side-by-side comparison.